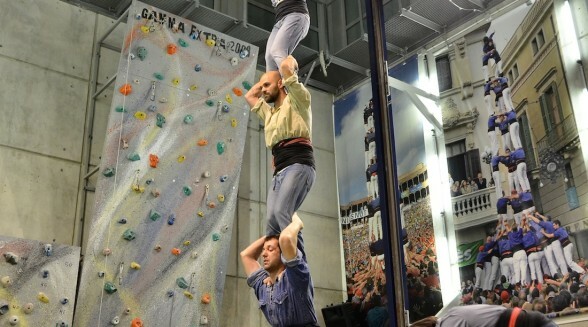 Tapas Tour and Human Towers Experience in Barcelona. Catalonia that is in the list of UNESCO Intangible Cultural Heritage of Humanity. This small-group tour ensures a personalized attention from your guide. Expedia has chosen our tour for one of their great videos! We are very happy! 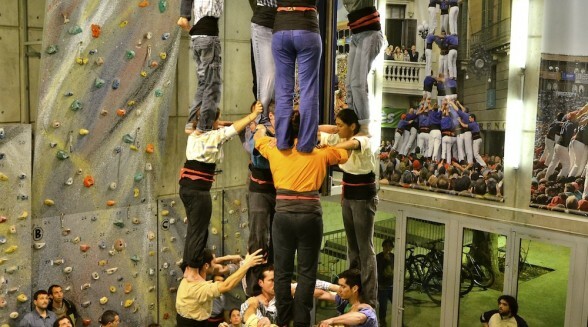 Watch the best Human Tower builders in the world. You can even get involved and have a go yourself! We can also pick you up and drop off at your accommodation place for just 25€/group more. Tell us when you check in! Tour begins in a very well-known spot in Central Barcelona, at Plaça Catalunya (in front of Hard Rock Café). I mean last night was quite an experience. 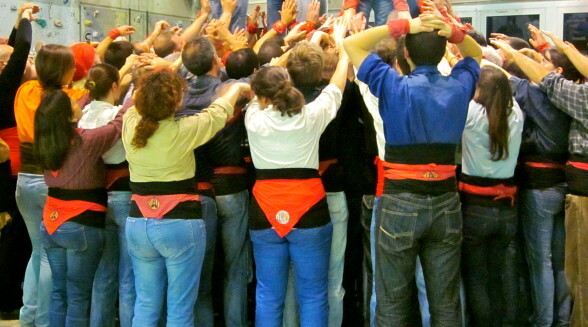 at first I was reluctant but had a great time seeing and being part of the human tower experience. i was amazed by the amount of time and strenght it take. Jon and I were part of the base. It was fun. 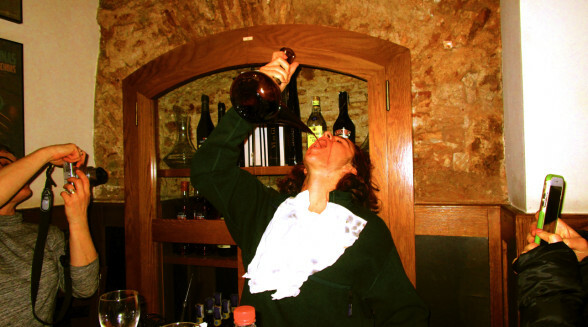 Our visit to Barcelona was fantastic but the best part was our Walking tour, Tapas and wine tasting adventure with Barbara (the Basque treasure). We learned great current and historical information about the land, people and Catalunya culture. We particularly enjoyed the very personable presentation Barbara made regarding the Market and it’s history, the Picasso museum and it’s history and the relationship that Catalunya has with its neighboring cities and regions. The human tower was a fabulous end to a very delicious and otherwise highly entertaining evening. We can’t thank you enough for sharing Barbara with us. We will recommend your tours to all of our friends and family who are planning to travel to Barcelona. We travelled Europe for over 5 weeks and this was our best tour in that time! 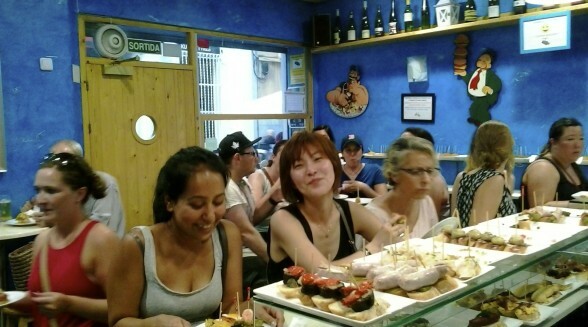 We walked the streets of Barcelona, stopping to eat, learn and watch the vibrancy of the city, and venturing into places that only a local would know about. 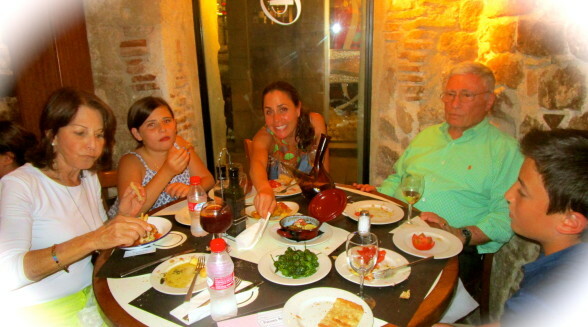 Our guide, Barbara was absolutely fantastic, sharing with us snippets of daily life as a Catalonian. She was so knowledgeable and keen to answer our endless questions. Watching the building of the human towers was an amazing experience. At the end of the night we said goodnight to Barbara and it felt as though we were saying goodnight to an old friend as opposed to a tour guide. Thank you Barbara! Tour guide was lovely, very knowledgeable and passionate about local food/drink. Great to see the human tower rehearsals, very unique way to spend a night out. Fantastic food tour! Se nota que disfrutaron un montón! My girlfriend and I spent over a week in Barcelona and saw every tourist attraction on the list. 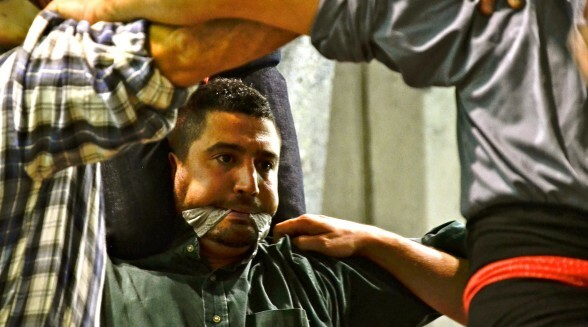 We decided to engage LIVING IT for their evening tour to the wine tasting and human towers. We met Barbara, our guide, and the other folks on our trip at 5pm. The entire evening was tremendous: outstanding wines in a beautiful scenery with views of the Mediterranean. Later on we did a culinary tour in a Roman village nearby. 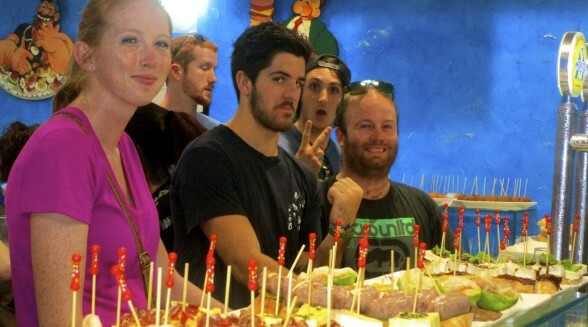 Churros and Jamon were delicious! The last part of the tour was in the human tower association. Amazing tradition and interesting history behind it. We loved watching “castells”. Qué bien, muchas gracias por enviarnos as fotografías y por tus comentarios. La verdad es que creo que quedaron encantados. 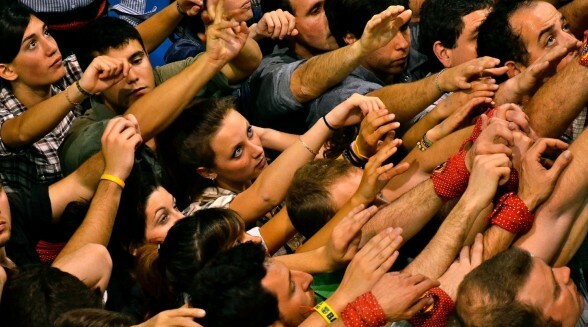 Ojala nos pidan más grupitos y podamos seguir trabajando juntos. I was very impressed with the precision and professionalism with which the tour was conducted. Our guide was very informative and engaging. The small group of 6 participants provided for a more cosy feel compared to those larger tour groups. During the tasting we sampled 3 different exquisite wines. Later on, we participated in a human tower display. Human tower builders are engaged in an activity that has been recognised by Unesco on a list of and Intangible Cultural Heritage of Humanity. Everything about the tour exceeded my expectations. I will recommend this for anyone visiting Barcelona.